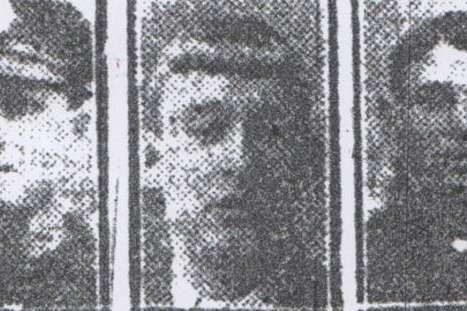 George Edwin Ellison was a miner, a husband, and a father - from Richmond Hill in Leeds. Born in August 1878, he served as a soldier throughout the duration of the First World War. He was tragically killed at 9.30am on 11 November 1918, just 90 minutes before the 'armistice' ceasefire - the last British casualty of the European war. We are working with Leeds Civic Trust to create a plaque to remember him - and through him, to recognise all the regular Leeds people, from all walks of life, who served in that war. 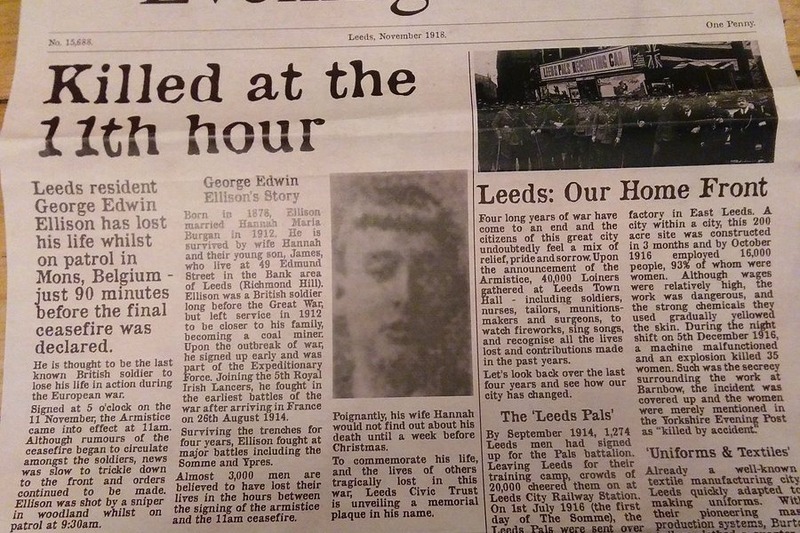 The plaque will be unveiled at Leeds railway station at 9.30am on Wednesday 7th November (2018) - to mark the hundredth anniversary of the end of that war, and George's death. All welcome. We would also like (dependent on funding) to produce a memorial booklet that will explore: Ellison’s life, how this devastating war impacted on the wider Leeds community, and how conflict continues to affect the lives of millions worldwide. Booklets will be distributed throughout the city, to commuters making their way through the railway station, and especially around Richmond Hill. This crowdfunder will run throughout October and November 2018 - and the funds raised will determine the scope of the memorial project. The funds will go direct to Leeds Civic Trust, with any surplus funds given to a charity that helps people affected by war worldwide. If you've any queries, please just get in touch.